MSE Creative Consulting Blog: With Regard to the Posting Below: Disasters Are Decreasing! 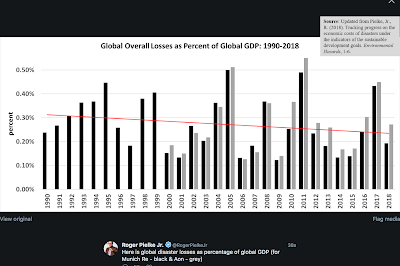 With Regard to the Posting Below: Disasters Are Decreasing! 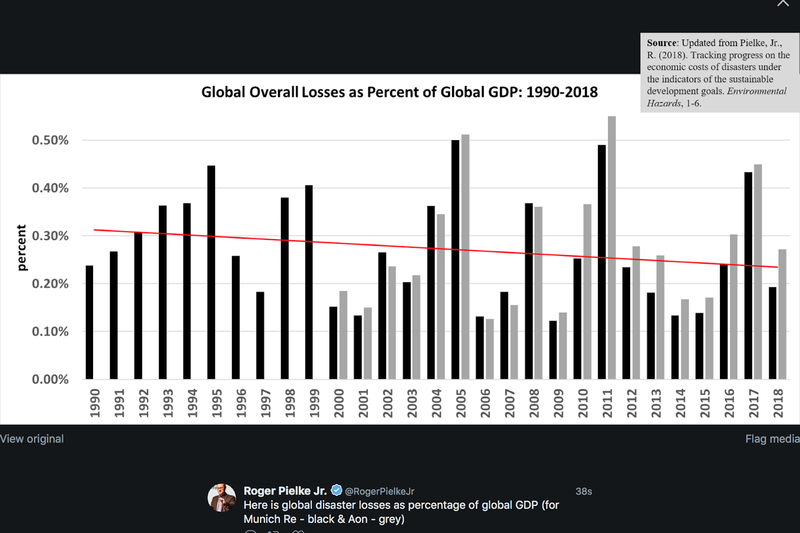 In spite of forecast after forecast after forecast since 1988, and especially after Katrina in 2005, calling for increasing disasters due to global warming, disasters are decreasing. The graph below was just posted by Dr. Roger Pielke, Jr. with data through December. As discussed in the posting immediately below, the track record of climate science's forecasts is abysmal. Scroll down for more.